The Scappoose Share and Care project began over 25 years ago as a collaborative effort between the Scappoose Rural Fire District, the Kiwanis and the Jaycees, to meet the needs of the community by providing Christmas to families in need which includes food, clothing and toys. Each had their roles: the SRFD would provide the toys; the Kiwanis would provide the food; the Jaycees would provide the clothing. Within a few years, the Jaycees dropped out of the program, and since then that organization has disbanded. Since that time the SRFD has taken over providing the clothing. Share & Care has grown from its early days of serving about 50 families, to providing for the needs of 230 families for Christmas 2013. Through working collaboratively with public, nonprofit and private businesses, they are meeting the needs of the community and have a desire to contribute to society. The SRFD and Kiwanis have worked with many business owners, churches and individuals in building the Share & Care program. No longer is it about the vision that they had 25 years ago, but it has become the vision of the community instead, as citizens have become involved in providing for the underprivileged in their community. When a July 1996 barn fire destroyed all the bikes and toys that were being stored there, valued at about $5,000. Glacier, a local gravel company, delivered a dump truck filled with toys; many individual community members and businesses made donations of money and gifts; the 4-H groups collected toys; the SRFD’s insurance company went above and beyond by writing a check for the replacement of the toys, even though they were being stored on private property. This unexpected generosity of the insurance company allowed the Share & Care Program to have funds available for the start of the next year. Many people that year made a choice; rather than letting the circumstances of the fire dictate the end of Christmas gifts for those in need, they made a choice to make a difference. 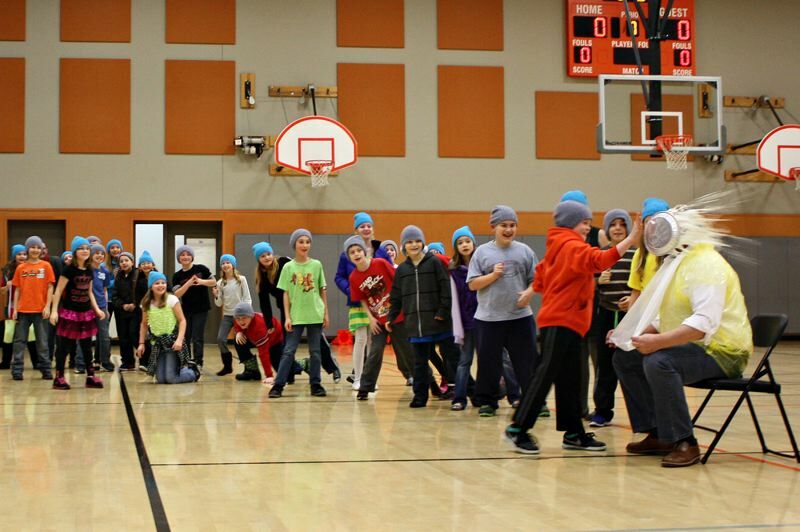 ﻿Video contains an overview of Scappoose Share & Care and why I have chosen this work. Share & Care has grown over the years and now involves individual citizens, local businesses, the schools, youth groups, churches and even two Portland television stations. Some donations are monetary, other donations are gifts. Many regular donors are people who had it hard growing up or were helped by the Share & Care program when they needed it. For many years a woman (now deceased) donated $3,000 annually to buy "name-brand" toys, as when she was growing up, she didn't have the. 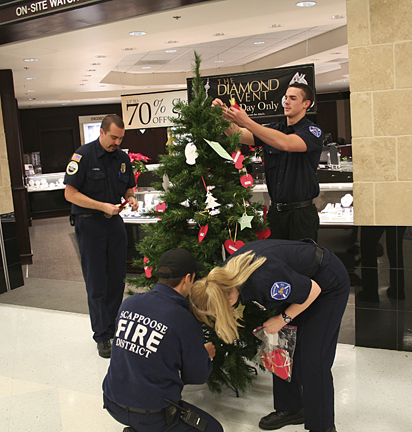 Toy and clothing donations come from many other sources: St. Wenceslaus, the Wigwam Tavern, Fred Meyers and many local businesses put up Giving Trees so needed items can be purchased. The Shriners are involved by offering free gift wrapping for Giving Tree items ﻿purchased at Fred Meyers. The Christmas ships stop at 14 marinas in the area where many people have parties and collect gifts for the program. The Scappoose Rural Fire District’s fireboat carries Santa in the parade of the boats. 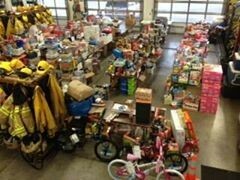 The number of gifts collected this way has grown so much that the fire boat has to be unloaded many times! In 2013 the local pet store joined in by giving their customers the opportunity to donate bags of pet food for those families in need that have pets. 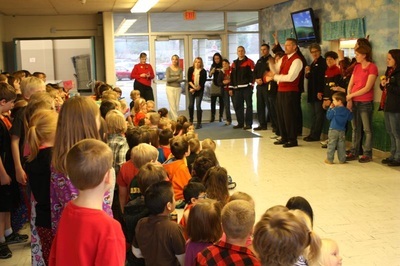 It was so welcomed and successful that their goal is to collect even more this year. Food is donated to the Kiwanis through monetary donations of individuals and businesses, as well as food barrels placed by the Scappoose High School Key Club in all the schools, banks, Fred Meyers, real estate offices and local businesses. 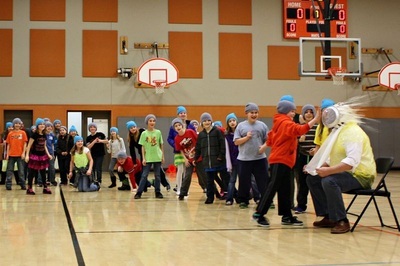 The Boys Scouts collect additional food by going door to door; high school football team does the heavy lifting and hauling of the barrels; youth groups, Boy Scouts, high school clubs and individuals work to sort and fill boxes with food. Local teachers get involved by submitting names of children in need. It is through the concern of the teachers for these children that they work to ensure no one is left out. The St. Vincent de Paul Food Bank and DHS refer people to the Share & Care Program. Youth groups, individuals and families will adopt a family, and provide all the gifts for that family, right down to Christmas stockings. This program engages of citizens from all walks of life and meets the growing needs of the community. The sorting, bagging and distribution of all the clothing and gifts takes the work of many people. 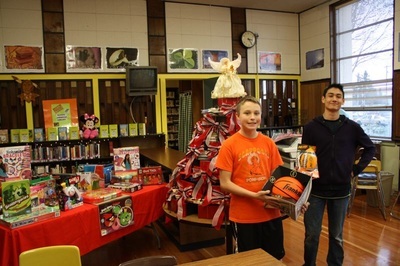 St. Wenceslaus Middle School Youth Group bags all the health care items, individuals spend many hours sorting the gifts by gender and age groups and others are involved in shopping from the tables to fill the needs of the families. 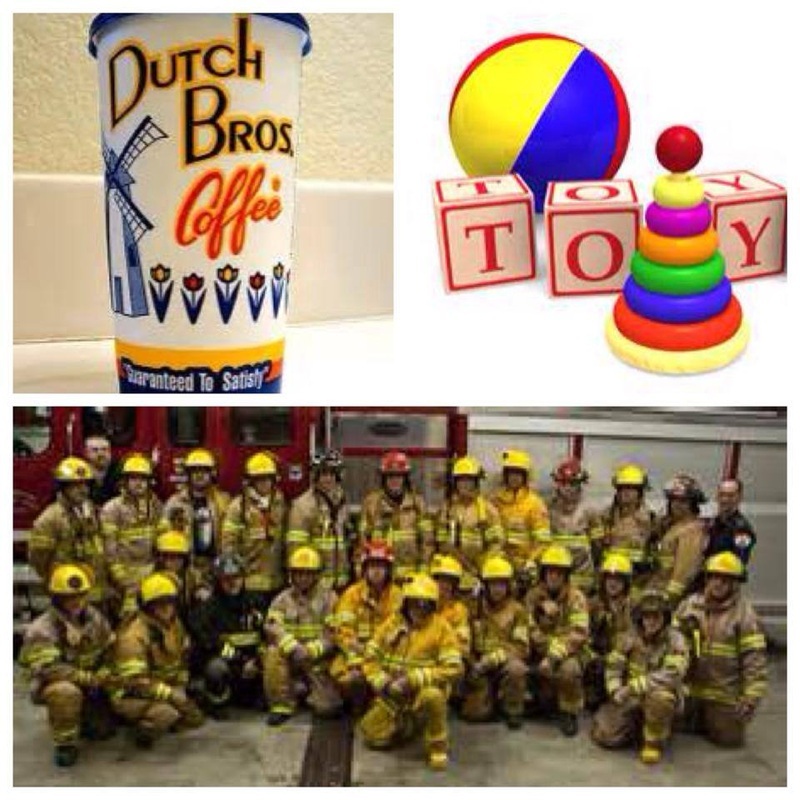 Distribution day will find the Kiwanis and Scappoose Rural Fire District, along with many individuals, working to load the cars with the food, gifts and clothing. The fire trucks, ambulances and command rigs are even seen around town delivering to those without transportation or with physical limitations. The Share & Care program engages citizens from all walks of life and is a program that continues to meet the growing needs of the community. I am proud to be involved with such a great cause! To view captions, hover the mouse over the picture or click on the picture. I feel strongly that as citizens, we must find causes that speak to our heart and then become involved in our community, which is why I became involved in that Scappoose Share & Care about 15 years ago. 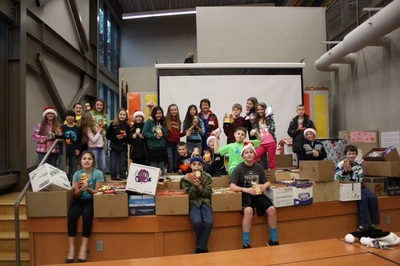 At the time I lived in Southern California and often the Share & Care Distribution Day would coincide with our trip to Scappoose for Christmas. As my boys became old enough to help, they would join in the cause. 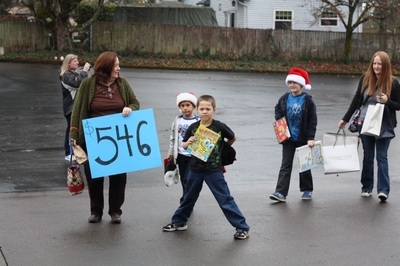 After moving to Scappoose in 2007, my boys and I were able to help every year. I will continue to remain involved in Share & Care as the need for this program is so great. Scappoose is a small rural community, with a population of about 6,700 people, located 25 miles Northwest of Portland, with an unemployment rate higher than the state average. In 2013, Share & Care provided for the needs of 230 families at Christmas, or about 14% of the population. The greatest unmet need of the Share & Care program is that most years there are not enough gifts for teens ages 12 - 18. People often find this age group difficult to buy for, so buy a gift for a younger boy or girl. Often we run out of gifts on 'shopping' day for this age bracket. My goal this year is to increase the number of gifts for teens. To work with Scappoose Share & Care to provide food, toys and clothing at Christmas for those in financial need. 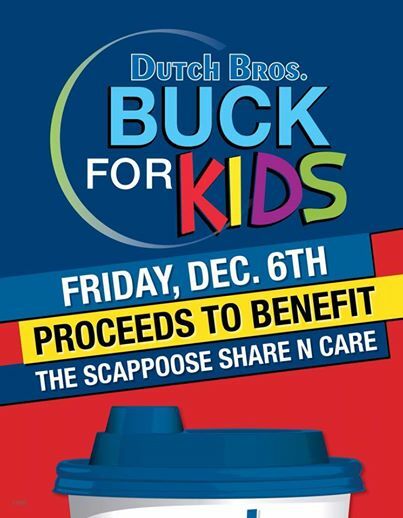 Services will be provided to anyone in Scappoose that has a need, without needing to prove it. I will work on coming up with creative ideas to help with the unmet needs of Scappoose Share & Care and will communicate with the staff and volunteers of Scappoose Rural Fire Department and the Kiwanis Club with respect. Doing these things will help me to provide the best service to those in need. The response I received from corporate businesses was not encouraging. Many don't donate to programs that are run by police or fire departments; others I haven't heard from yet. I realize this process takes time so I will continue to work on it throughout the year. As for the rest...Distribution Day is December 21st...so an update will be coming after that date.